These two older releases were both issued by the now defunct Swedish Sergerhuva label, but given they are both representative of the mid 1980’s Swedish industrial underground they are reviewed together to provide a quick history lesson. 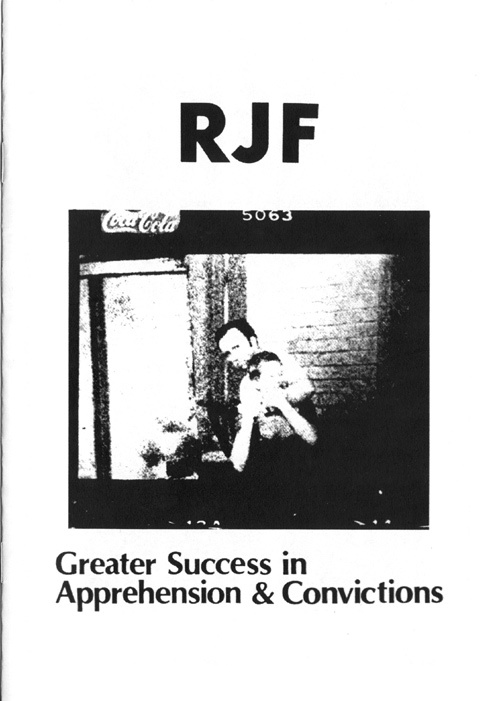 First up is RJF (being the earlier of the two projects), with the album being a re-release of their only album from 1983 (issued in a run of 300 LP’s). Lo-fi experimental electronic minimalism is what we have here, being built on somewhat simplistic elements – yet simplicity is used to utmost effect. ‘Maximum Pain’ introduces the album with a singular burrowing mid-range analogue texture, overlaid with distant agonised vocal screams. However the next track ‘Jugend Dance’ is totally different with its use of sparse squelching noise and a minimalist programmed beat which clearly holds an ‘eighties’ sound to the production. Alternately a drugged haze permeates the tone of ‘Minimal Brain Function’, which is composed with spare programmed beats, sustained distortion and monotone spoken vocals. Likewise late album track ‘No Room’ does away with any programmed beat elements, instead opting for a more urgent noise pulse, oscillating noise and garbled vocals. The sound is clinical and morbid in the best way possible, with this atmosphere continuing into the final album cut ‘Zuweiderandlungen’ which is built on a mechanical beat, noise and screamed vocals. Noting the ‘eighties’ sound of the beat programming on various RJF tracks, it is interesting to note that it is exactly this is a type of approach that would be later honed by the German scene and in particular Haus Arafna. Yet closer to home the RJF’s sound was also clearly an influence other early Swedish industrial acts such as Lille Roger. The A5 booklet cover also includes an article written by current Swedish scene stalwart Kristian Olsson to provide some very useful background context to the group. The later of the two projects reviewed here is Blood Of Thee Christ, which although commenced only a few years later than RJF is all the more heavy and harsh for it. 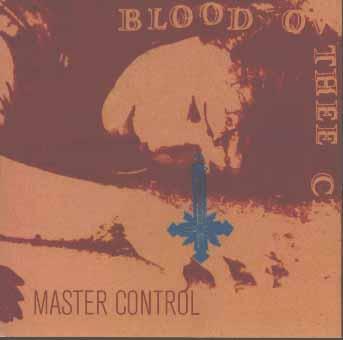 ‘Master Control’ constitutes a re-release of their debut tape of the same name, issued originally in 1987 and containing material spanning 1984 to 1987. The full contents of the original tape are re-issued here, along with a bonus track dating from 1988. The title track is up first and an absolute monster 45 minute piece – although given the track has a silent break in the middle this is perhaps indicative of the two side of the original cassette. Here we have a heavy slab of industrial noise with oscillating harsh frequencies, crumbling seething noise and occasional aggressive distorted vocals. With the length of the composition and its heavily free-form sound it projects a loose and potentially improvised aesthetic. Yet walking the line between controlled and unhinged this is scuzzy, harsh and filthy industrial noise at its most depraved. The second track ‘Pain and Pleasure’ is a much shorter piece, being a minimalist piece of pulsating static, made all the more a difficult listen due to the use of sustained and repeated trash film dialogue (which narrate confessions being extracted by torture). At only 4 minutes and 44 seconds ‘Exzesse’ is a focused yet chaotic maelstrom of harsh controlled distortion. As for the final of the four albums tracks, ‘Forced Entry’ seems to focus and distil the most dynamic elements from the title track into a solid and brutal piece, which in a contemporary scene context could be compared to the most chaotic material produced by Deathkey – yet this was recorded in 1988! Given that both projects and albums date from the mid 1980’s, they each illustrate a clear difference and diversity of sound. This can obviously explained by the fact that at the time genre ‘rules’ had not yet been established, meaning both albums can be broadly filed under power electronics, industrial and noise, despite sounding nothing alike. In a final compassion between the two projects, today RJF sounds somewhat simplistic and ‘old school’ due to the production and programmed elements, while Blood Ov Thee Christ has aged a little more gracefully. Possibly benefiting from a loud and crunchy remastering treatment, ‘Master Control’ is less easily pigeon-holed in a 1980’s frame and can certainly stand up against current scene material. With the slew of continual releases being issues year upon year, sometimes it is refreshing to look backwards and discover some hidden gems from the murky past. As such Sergerhuva should be commended for digging up these obscure items and furnishing them with a proper re-release. This entry was posted in 2005, 2008, industrial, noise, power electronics, Segerhuva by noisereceptor. Bookmark the permalink.